Apple has announced that developers must ensure that all app submissions are optimized for iOS 7 by February 1, 2014, according to a new posting on its developer portal. This includes both new apps and updates to existing ones. In order to optimize apps for the new OS, they must be built with the latest version of Xcode 5 — which includes 64-bit support, and access to features such as backgrounding APIs. 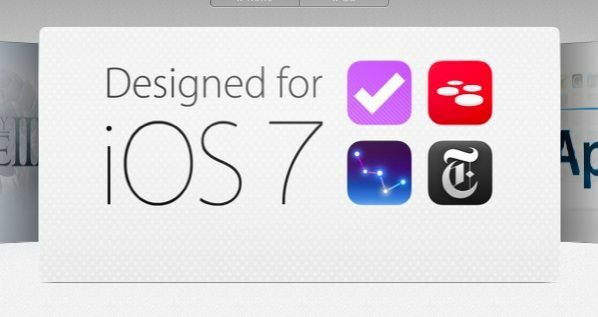 A full list of Apple’s iOS 7 UI guidelines can be read here. Apple has been pushing developers to support the latest versions of its OS faster than ever over the past several years. Knowing how fastidious Apple is about design, the rapid push to ensure iOS 7 optimization also likely has to do with the fact that this version of iOS changed Apple’s interface design language: dropping the skeumorphism of iOS 6 for a flatter, more minimalistic aesthetic.